Paul Ryan lying about how fast he ran a marathon is kind of pathetic in the way the kid who lies and says his dad's an astronaut who lives on the moon when his dad's really an insurance salesman who lives in Ohio is pathetic. It's sad. It's unbecoming. And I guess it doesn't have much to do with politics — until you compare his time to recent GOP Vice Presidential nominee Sarah Palin's. Who's the more fleet-footed ideologue? 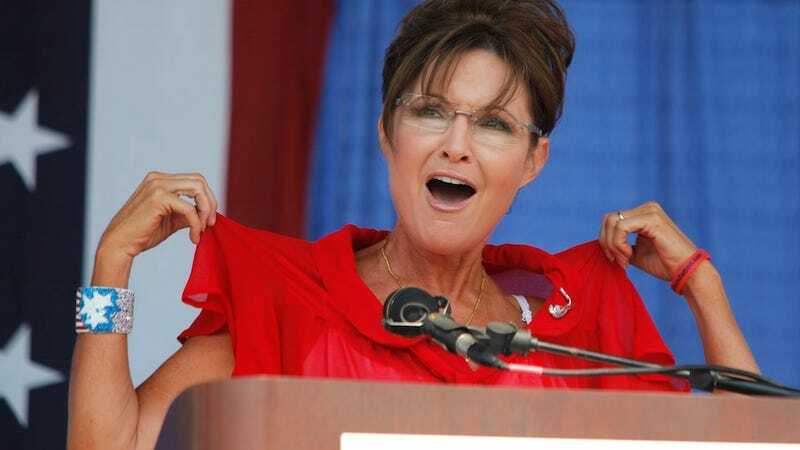 It's Palin! According to Politico, Ryan's time of 4:01:59 (totally respectable for a first marathon, btw) was bested by the slightly faster Alaskan, who completed her first 26.2 in 3:59. But before you claim that the two ran virtually identical races, consider that Palin ran hers in 2005, when she was 41 years old. In contrast, Ryan was a 20-year-old He-Man when he ran his race twenty-odd years ago. Looks like Sarah wins the day. Both Sarah Palin and Actual Paul Ryan were positively smoked by Imaginary Paul Ryan, who ran his best marathon in "two hours fifty something," according to Actual Paul Ryan, who was just trying to impress us.